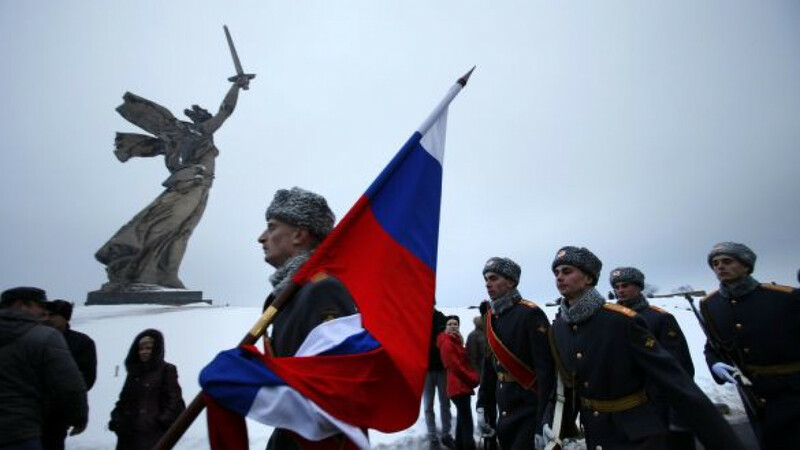 Russia on Saturday celebrated the 70th anniversary of the decisive Soviet victory over the Nazis in the Battle of Stalingrad amid talk of the revival of Stalinism, the temporary renaming of Volgograd to Stalingrad and the launch of buses bearing Stalin's image. In Volgograd on Saturday, President Vladimir Putin laid flowers at the eternal flame dedicated to the watershed battle, which lasted some 200 days and left 1.25 million dead. He was accompanied by Deputy Prime Minister Dmitry Rogozin, Defense Minister Sergei Shoigu and regional Governor Sergei Bozhenov. Putin, who has reportedly been suffering from back problems, has made only three trips around the country since early October, including the one to Volgograd on Saturday. He used the celebration to reiterate his stance that patriotism is important for maintaining a unified Russia. Putin has been actively promoted patriotism since his return to power last May. At a meeting with veterans Saturday in Volgograd, temporarily renamed Stalingrad to reflect its Soviet namesake for the celebration, Putin said that "understanding the importance" of the Battle of Stalingrad was "essential" for "preserving our national identity," "reinforcing" Russia and "breeding patriotism." "Patriotism, as we know it, is love for the motherland," Putin said, according to a transcript on the Kremlin website. "No country can exist without it. It would simply melt like a sugar cube in tea." Ahead of Putin's visit, local deputies on Thursday decided that the city would officially be called by its 1925-1961 name, Stalingrad, on six holidays dedicated to World War II. Deputy Prime Minister Dmitry Rogozin praised the renaming Friday in a post on Twitter. "I have never disguised my unequivocally positive attitude toward it [the renaming], including from the economic and investment point of view," he wrote. The renaming prompted some observers to speculate about the revival of Stalinism in Russia, although Putin has never unambiguously praised Stalin. 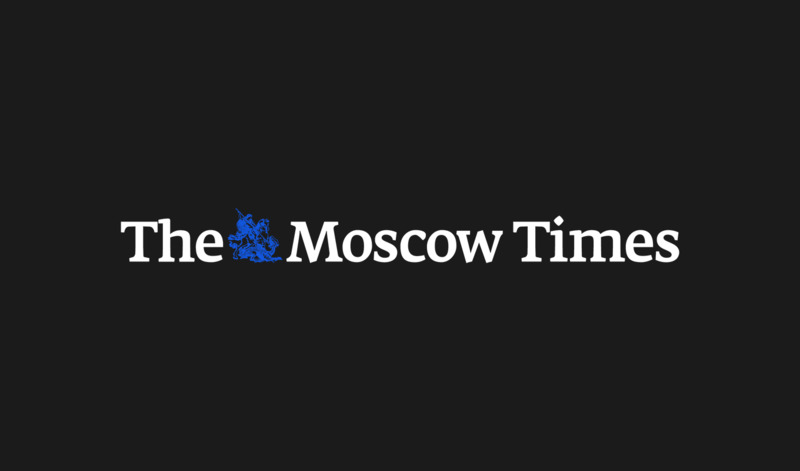 On Friday, the British daily The Times ran an opinion piece on the renaming, saying that under Putin school textbooks have described Stalin as a "competent manager" whose actions were "entirely rational." "The purges, the gulags, the famines are all downplayed in favor of 'Little Father,' the mighty leader who modernized the U.S.S.R. and led his country to victory against Nazi Germany," the commentary states. Spain's ABC reported the city's renaming Friday under the headline "Stalin Resurrected!" But U.S. Ambassador Michael McFaul told the Russian audience during festivities in Volgograd on Friday, a day ahead of Putin's visit, that renaming the city was "your matter" and "your history," implying that it was Russia's own business, Interfax reported. McFaul said the world's history had been decided in Stalingrad through the suffering of Soviet soldiers, to whom Americans were very grateful. The launch of public buses bearing Stalin's image in Volgograd, St. Petersburg and Chita on Saturday added fuel to the fire. St. Petersburg lawmakers from the liberal opposition Yabloko party asked regional Governor Georgy Poltavchenko to remove the buses because "any glorification" of Stalin and "any justification of Stalin's crimes and massive repressions against his own people is a crime in and of itself," RIA-Novosti reported. Also Friday, opposition leader Ilya Yashin said in an interview with Lithuanian news site Delfi that Putin wanted to "rule like Stalin and live like [billionaire] Roman Abramovich." On Saturday, Sergei Ivanenko, a senior member of Yabloko, told Ekho Moskvy that Stalin's repressions were "massive," while Putin's were "pinpoint," but he said that "the choice of methods, the ways of 'working' with people and the consequences for these people are approximately the same," despite the absence of the death penalty under Putin. In his state-of-the-nation address in December, Putin said patriotism and civil responsibility, which he defined as "serving the society and the country," are the "consolidating basis of our politics." At a meeting with public activists in September dedicated to ways of raising the level of patriotism in young people, Putin said "nothing else" but patriotism could be thought of, "no matter how long we discuss it," to serve as the "moral base" for Russia. In an interview in 2009, when he was still prime minister, Putin said that "no one now could throw stones at those who managed and organized" the Soviet victory in World War II because consequences would have been much worse if the country had lost the war. However, despite praising Stalin for the country's industrialization, Putin said that it had been achieved at an "unacceptable price" and that the repression and personality cult were "unacceptable."